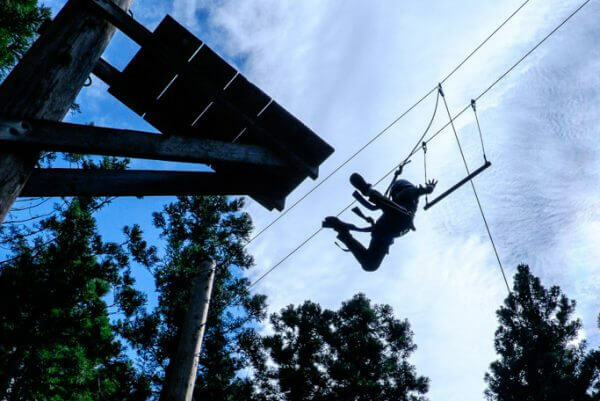 Our goal is to create a fun, safe, and memorable camp where participants can be themselves as they build trust and friendships, overcome challenges, and prepare for success in life. 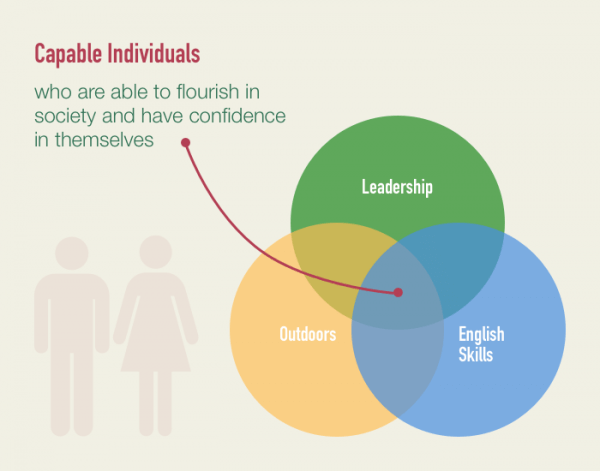 Camp participants show growth in self-confidence and self-respect, nurtured by outdoor adventures and real-life English interactions with positive and caring role models from around the world. 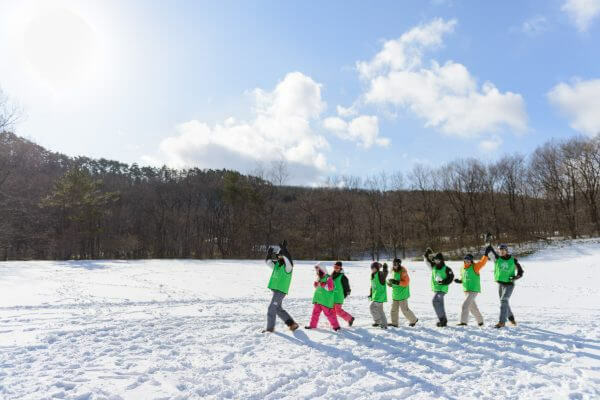 Structured around a five-day overnight camp curriculum, activities are designed to engage a wide range of ages and abilities, for participants from Grades 1 to 9. 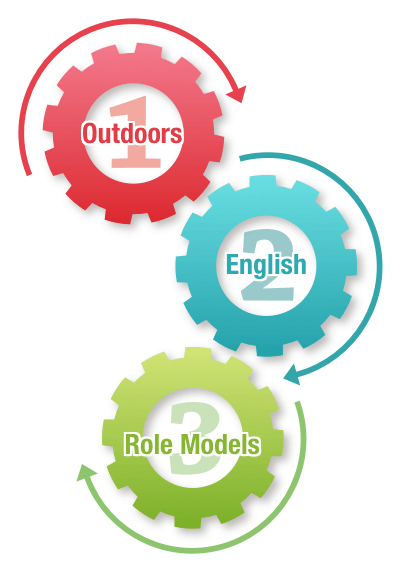 Our residential camps and multiyear model maximize the depth and impact of the camp experience. We encourage participants to come back and grow with us at their own pace. As an organization, we also ensure that we continue to provide the right support to the youths we invite to the program. Taking part in the camp, I was impressed by how much effort and planning went into preparing the programs. I believe that the Mirai no Mori programs are packed with wonderful opportunities to empower youth to make more of their futures. Our Back to Nature goal is to strengthen an ongoing relationship among participants with a great diversity of positive role models. 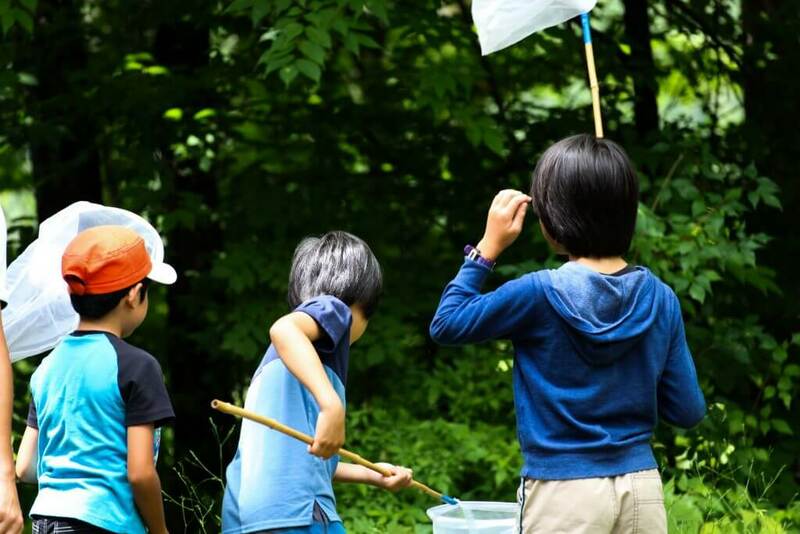 Back to Nature programs are one-day or weekend-long offerings that complement the Summer and Winter camps, which are the core of Mirai no Mori, by sustaining the magic throughout the year. 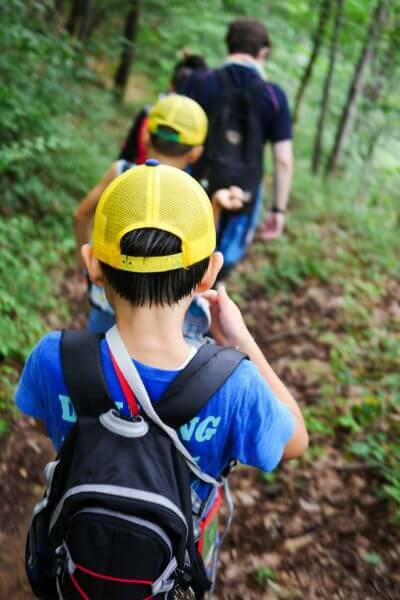 Sponsored by corporations, the Back to Nature program welcomes employees to join as positive role models and take part in the outdoor adventures with campers. Through fun hands-on projects, campers learn more about nature while enjoying the great outdoors. Seeing the youths really enjoying themselves with one another, and showing their appreciation in the affection they had for the volunteers, were the most rewarding aspects of being a volunteer. It was great to see the excitement in the children’s faces when we went whitewater rafting and to join them in taking on the challenges that the environment brought. Astonishing creativity and energy from the kids in nature with multinational background volunteers. 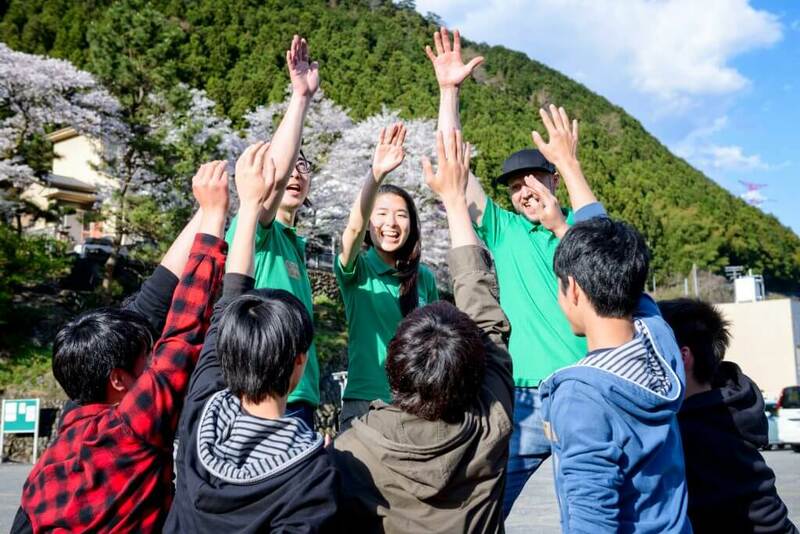 The Mirai no Mori program truly enables youths to explore internally and externally. I’m so happy to be a part of the program and to share the experience with the youths, and I hope to see them again. Participants will acquire the leadership skills necessary for a smooth transition to independence after leaving their child welfare institutions, and will become capable individuals who are able to flourish in society and have confidence in themselves. Through our monthly programs and occasional work experience, Mirai no Mori helps participants in the LIT program fulfill their potential to become empowered, happy, and successful young adults. With the generous support of various outdoor companies, we provide LITs—the next generation of leaders, who take on the challenge of this year-long program—with appealing rewards for their hard work and participation. 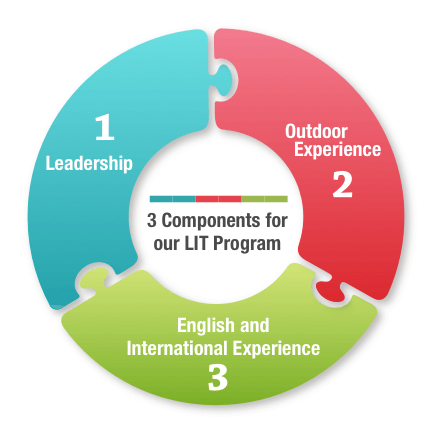 We hope that, by the time they have completed the program, LITs will be ready to join the community as full-fledged outdoor enthusiasts, as well as great role models for the campers at Mirai no Mori programs. Mirai no Mori’s life-changing magic begins in the great outdoors. We plant the seeds of self-confidence, creativity, and capability for youths and care workers that they can take back to their daily life. We want to support their growth into happy and successful young adults. Far away from the stresses of their daily lives, campers feel safe to challenge themselves in the beautiful and natural surroundings of the campsite. 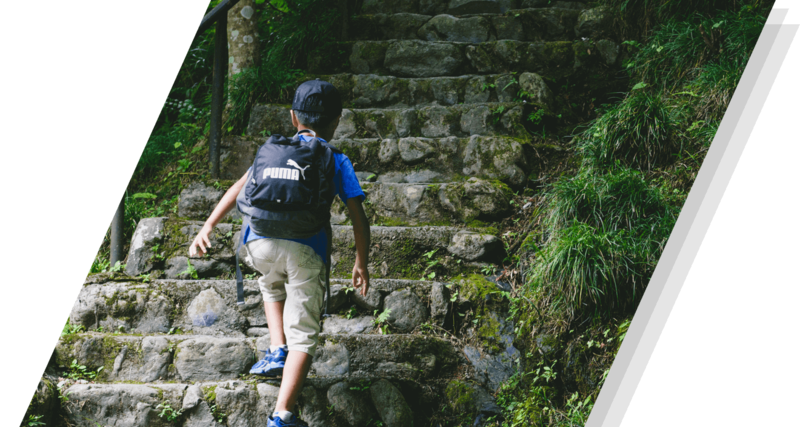 Whether it’s hiking farther than they thought they could or cliff-jumping into a cool, deep stream, children gain confidence, new friends, and new skills while taking risks and discovering the world of nature. We go on a hike, regardless of the weather. Rain or shine, the forest is filled with calls of “I’m not tired!” spurring on the leaders as much as the other campers. We sing, chat, and enjoy the scenery as we hike through the mountains. Tired legs are soon forgotten and replaced by a feeling of accomplishment when campers reach their goal. Walking down the river was really fun, but the best part was the big jump at the end. At first, I was scared; but I found my courage and jumped. I did it twice! I was really happy to find my courage. The children really appeared to shine as they took the initiative to help out and enjoy an environment away from TV, video games, and air conditioning. They appeared right at home at the Mirai no Mori camp. 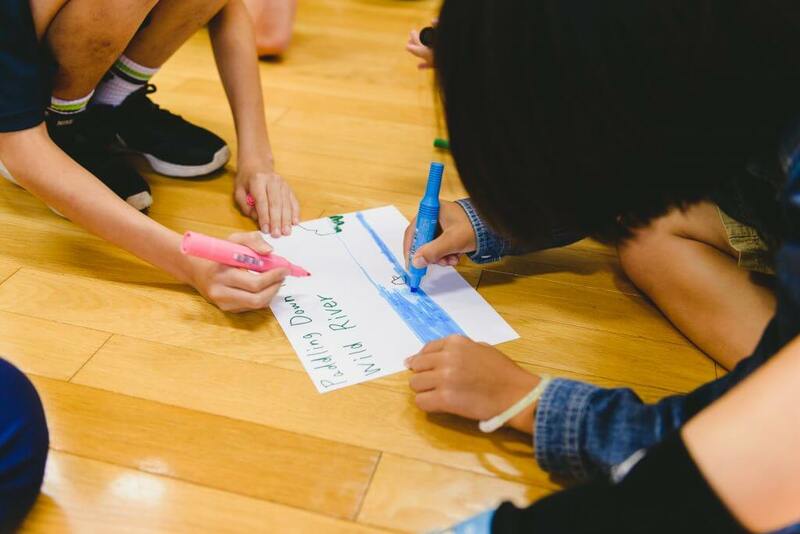 Campers are inspired to broaden their perspectives, experience new cultures, and learn English in a relaxed and fun way as they engage with the international staff and take part in creative English-based camp activities, songs, and traditions. 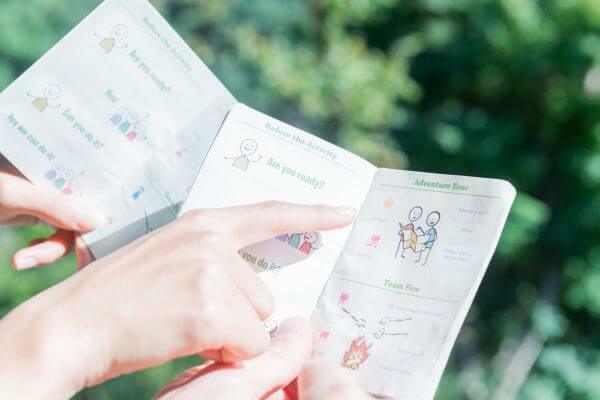 Mirai no Mori Passport is a small booklet with a list of challenges written in English and Japanese, such as “Learn the names of all your teammates,” or “Use English you know to talk about today’s camp.” Completed challenges are rewarded with a stamp or sticker, and the passport can be taken home as memorabilia from the camp. I tried to speak as many English words as possible, and when I didn’t know a word, I asked the staff. 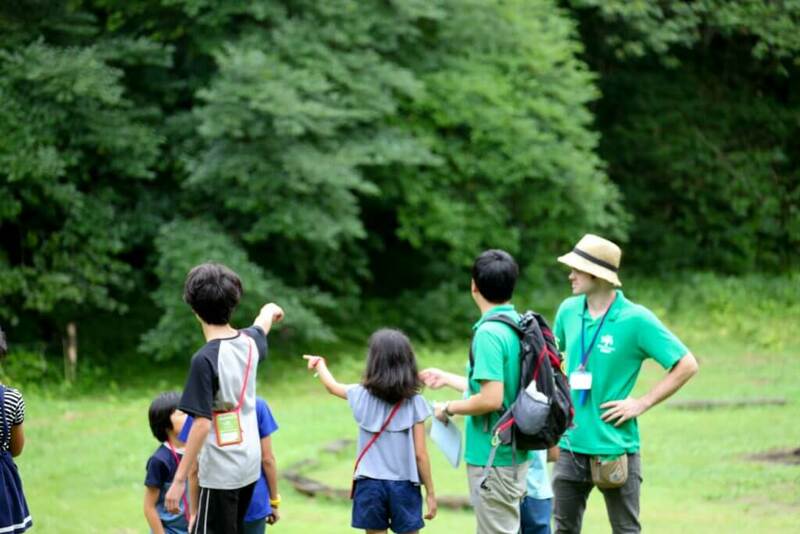 Throughout this English Summer Camp, I really became fond of English, and it was because of the Mirai no Mori staff. I want to go back again next year! It was a special opportunity not just to learn English but to experience other cultures—like eating peanut butter on apple—which undoubtedly helped broaden their perspectives. 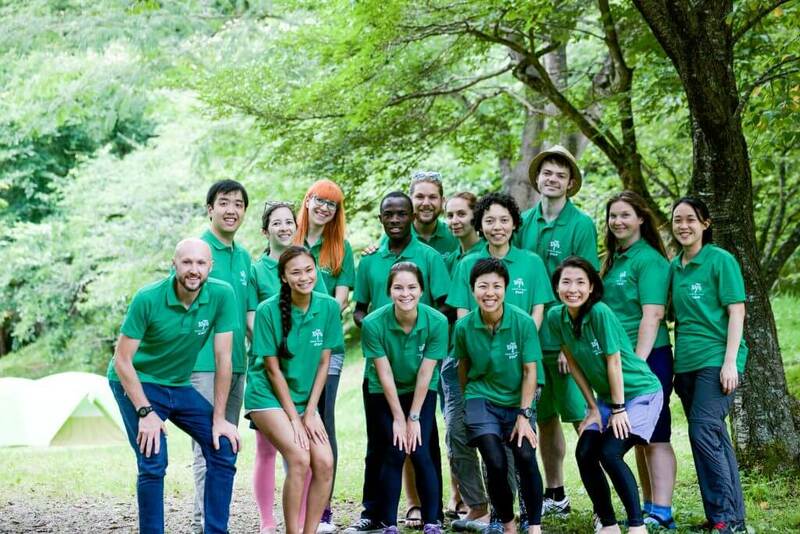 Our professional staff are key to creating a fun, safe, and memorable camp. They foster a “high-energy, kind-hearted” environment in which campers develop the values of kindness, responsibility, respect, leadership, and courage. Mirai no Mori staff focus on and praise the participants’ existing abilities, creating an environment in which everyone is free to be themselves. Through this feedback, staff and campers create the camp experience together, and grow together year after year. Teammates work together to start the fire to roast marshmallows, bathing the dark campsite in a gentle glow. 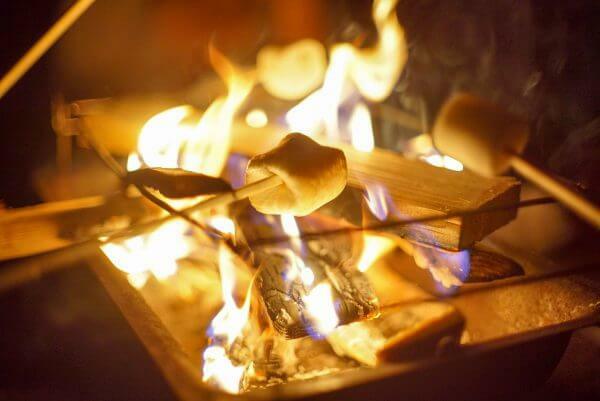 Excitement mounts as campers put their newly acquired English to use, exclaiming, “My marshmallow is perfect!” and “My marshmallow is on fire!” First-time campers begin to settle in, and everyone enjoys a little quiet time as the embers settle. I had a great time, and received a lot of encouragement and energy from the Mirai no Mori staff members. Whenever I’m in trouble in the future, I’ll remember what I learnt during these five days and use it to overcome my obstacles.